The Saumur Blanc Vieilles Vignes, from a particular gnarly old vineyard is an extraordinary wine and the definition of Chenin Blanc. Grapes are hand picked from vines that are are a minimum of 35 years old. Gastronomic wine par excellence. More about Langlois Chateau Saumur Vieilles Vignes 75cl … The Vieilles Vignes cuvèe is produced from two low yielding 1 hectare plots of Chenin Blanc, both well in excess of 35 years old. 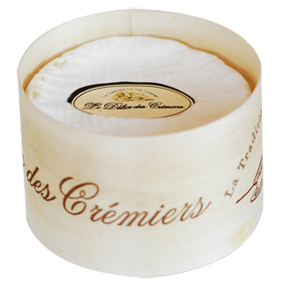 Enjoy with a Delice des Cremiers; click here to add! The soil is the characteristic Saumur mixture of sand and limestone, with a high calcium content vital for the preservation of the acidity in the fruit and therefore allowing for a longer ripening period which concentrates and enhances the flavours. The Langlois-Château Chenin vineyards are around St Florent. The grapes are hand harvested with several 'tries' - or passes through the vineyards - to ensure all fruit is of peak ripeness. The fruit is gently pressed and fermented to dryness in barrel. The oak employed allows the Chenin flavours to shine, without being masked by excessive new oak character. Nevertheless barrel-fermentation allows for a gentler, longer and more extended flavour development. The wine rests on its lees for a further 10 months in barrel, which imparts a richness and nutty character to augment the fruit flavours. If further aged (for up to fifteen years) the wine will develop a deep honey colour and character with the richness and spicy nutty flavours complementing the deep, candied fruit characters of an aged wine.